ASI (Asynchronous Serial Interface) is a streaming data format which often carries an MPEG Transport Stream (MPEG-TS). 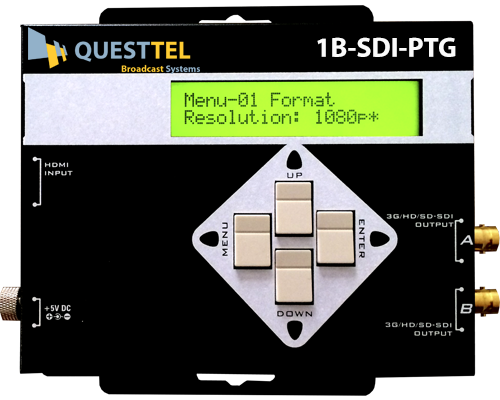 Unlike the SD-SDI and HDSDI that are uncompressed, an ASI signal can carry one or multiple SD, HD, or audio programs that are already compressed. Generally, the ASI signal is the final product of video compression, either MPEG2 or MPEG4, and ready for transmission, after necessary conversions, over various types of transmission paths such as coax, fiber, or microwave. For example, for CATV applications the ASI stream is typically converted into QAM. It is converted into 8VSB for broadcast applications. The two transmission formats commonly used by the ASI interface are the 188 byte format and the 204 byte format. The 188 byte format is the more common ASI transport stream. When optional Reed-Solomon error correction data is included the packet can stretch an extra 16 bytes to 204 bytes total. 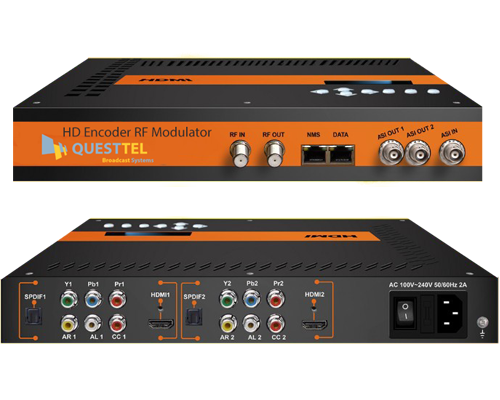 Data rate is variable and dependent on user’s application requirements, but the ASI interface of most products support 270 Mbps per DVB-ASI 50083-9 standard. DVI (Digital Visual Interface) is a video-only standard designed to provide very high visual quality on digital display devices such as LCD TVs and computers. It was developed to replace the analog VGA (Video Graphics Array) technology. 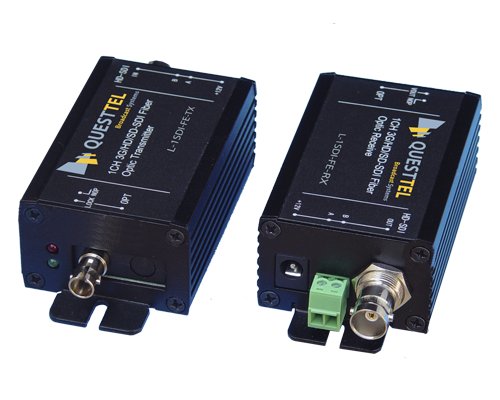 Depending on the DVI type (single or dual link) the data rate is 3.96 and 7.92 Gbits/s. In most CATV applications, a DVI-to-HDMI cable is used to display the DVI signal on a HDMI-compatible TV.